In all the years I’ve been regularly flying airplanes above 10,000 feet, I’ve never experienced high-altitude/hypoxia training beyond reading the section of the Flight Training Handbook and hearing a few lectures about the dangers of what might happen if the air should rush out of the cabin up high. After what I experienced this week, I’m convinced every pilot who flies at high altitude needs better hypoxia training than the regs require for a checkout to comply with Part 61.31 (g). Even a trip to an altitude pressure chamber is not enough. I spent a few days this past week on assignment for Aviation International News at Flight Safety’s DFW training center for a hands on demonstration of that company’s hypoxia training curriculum. I ran into an old friend – Dan MacLellan – who happens to be the center manager there. Gil Schnabel, the center’s assistant manager and Larry Schuman FSI’s director of special training made all the pieces come together for this trip. While you’ll have to wait for the upcoming issue of AIN to hear the specifics of the training, I can say my brief morning’s training at FSI has made me think differently about how pilots should approach high-altitude flight. What makes FSI’s training different from many is that thanks to a nifty electronic black box – built with the help of the Mayo Clinic – that recreates the oxygen/nitrogen/pressure mix of high-altitude flight in a standard oxygen mask, any aviator can see up close how their performance deteriorates while trying to fly the airplane. Traditional altitude chambers seldom offer more than an opportunity to test your cognitive functions with simple math problems as you’re brain becomes oxygen deprived. Trying to scan the instruments of a glass-cockpit airplane while also trying to program an FMS make it pretty clear that running out of air up high is no joke. I was completely certain I could do it. But I couldn’t the first time and barely, the second. 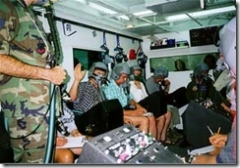 In a traditional pressure chamber, people simply take off their masks until they pass out … not terribly realistic. Besides the blurring of vision and the difficulty I had flying the airplane, during this FSI training, the most important fact I learned was how subtle the changes can be in a person’s brain functioning. So subtle, in fact, that many pilots might not even recognize something was afoot until it was too late to react. The second time I experienced the simulated oxygen deprivation I was better prepared when we reached FL 250 in the Falcon 900 EX I was flying. The instructor had me try a few steep turns and very slowly this simple task became agony when the cabin began to slowly climb because of a pressure leak. The cabin warning alarm failed so I had absolutely no idea what had happened. My brain couldn’t seem to make my hands do what was necessary even when I noticed the cabin was approaching 13,000 feet. Until I managed to get back on 100% O2 in the recovery, I wasn’t even sure what I should do. Nor could the Helios crew that crashed their Boeing when they misdiagnosed a cabin presure failure. 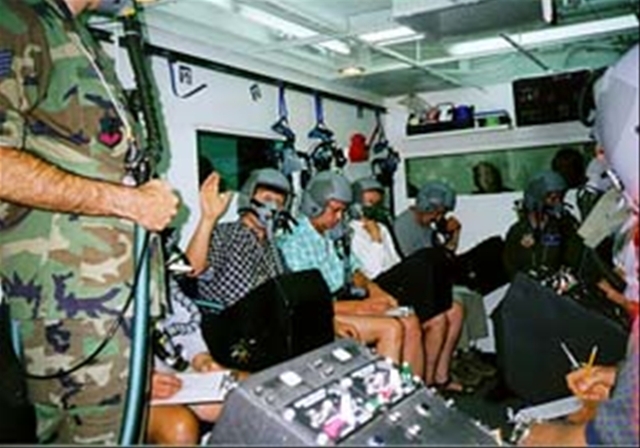 More in the AIN story, but if you know anyone who regularly flies above 10,000 – or plans to intheir career – tell them to take the hypoxia training FSI offers during most recurrent sessions. It will save your life some day. A Jet Powered by French Fries … Almost! This entry was posted on Monday, June 4th, 2007 at 4:15 pm	and is filed under Business Aviation, FAA, Flight Training, The Buzz. You can follow any responses to this entry through the RSS 2.0 feed. Both comments and pings are currently closed. I have been in the chamber only once at the first week that I attended the flying school which is about 2 years ago. When I am getting hypoxia ,I feel a bit relief and very comfortable .It gonna be very dangerous if we face it in the real life .